If you want to turn your short videos into profit pulling, list building machines in the shortest amount of time possible, this is for you. Step-by-step blueprint that lays out exactly how you can get tons of traffic, shares, and email subscribers. 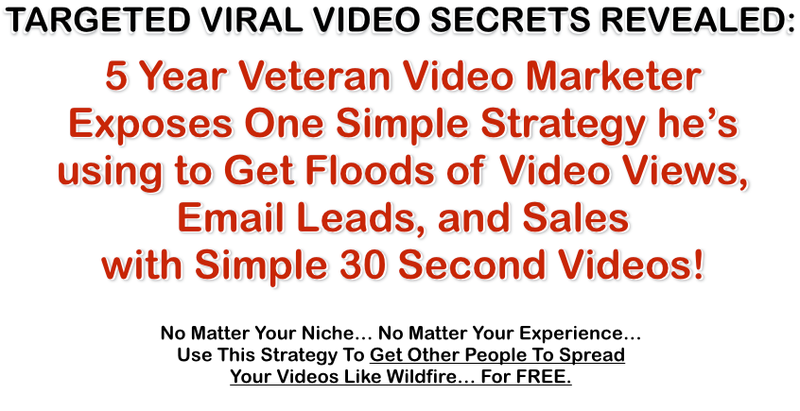 You’ll have the potential to dominate almost any online niche or help your offline clients crush their competition with highly targeted videos that can go viral very quickly within a targeted group of people.